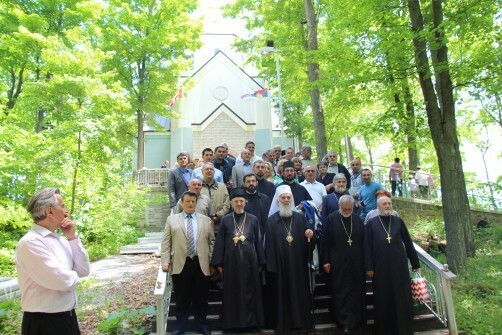 Milton, Ontario - On the First Sunday after Pentecost, His Holiness Serbian Patriarch Irinej, administrator of the Diocese of Canda, officiated a the Holy Hierarchical Liturgy at Holy Transfiguration Monastery in Milton. Concelebrating with His Holiness was His Grace Bishop Mitrophan of Eastern America as well as the dicoesan clergy: V. Rev. 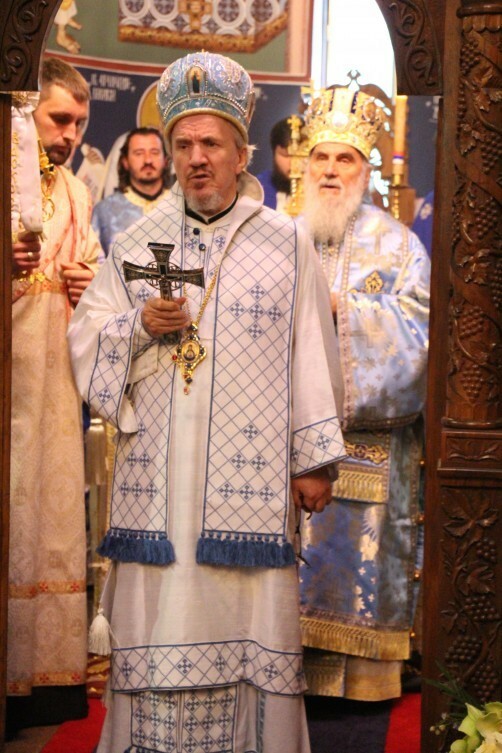 Stavrophor Vasilije Tomic, the Episcopal Deputy, V. Rev. Stavrophor Milovan Sredojevic, V. Rev. Stavrophor Zivorad Subotic, V. Rev. Stavrophor Prvoslav Puric, V. Rev. Stavrophor Vojislav Pavlovic, V. Rev. Stavrophor Dragomir Ninkovic and Milojko Dimitric, V. Rev. Dusan Gnjatic and V. Rev. Milan Jovanovic, Protosindjel Vasilije (Gavrilovic), abbot of the monastery, Fr. Ivan Radovic and Fr. 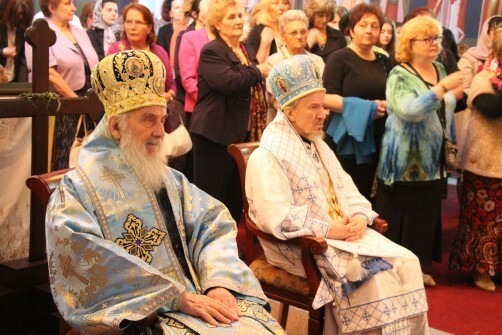 Jovan Marijanac, Protodeacon Damjan Bozic and Deacon Djuradj Kojic. Present at the liturgy was also Bishop Georgije who has been relieved of his duties. 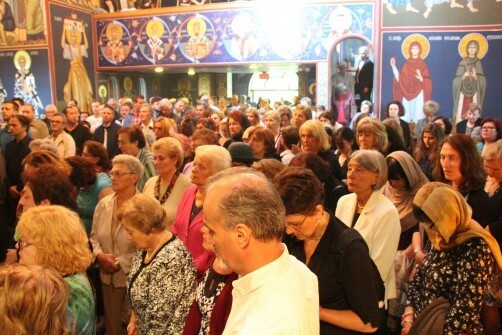 The diocesan choir "Kyr Stefan the Serb" under the direction of Jasmina Vucrovic, sang the responses at the Liturgy. 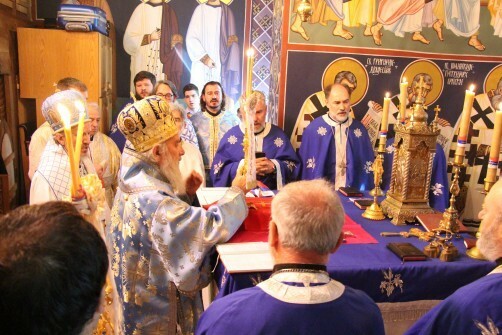 In his homily Patriarch Irinej blessed the people of God and called on them to go down the path of St. Sava. This path is the path of mutual love, forgiveness, unity and harmony. He stressed especially that we are called to be the light of the world in this far off country, that others might look to as an example. After the service many of the faithful wished His Holiness a warm welcome. A meal was served in the monastery hall for all present, through the goodness of the Circle of Serbian Sisters.